Training course, "Building effective teams, win in the Implementation"
Team represents a group of people with a common mission. As a management, how to effectively motivate team members and how to create excellent team of business development, has become particularly important. 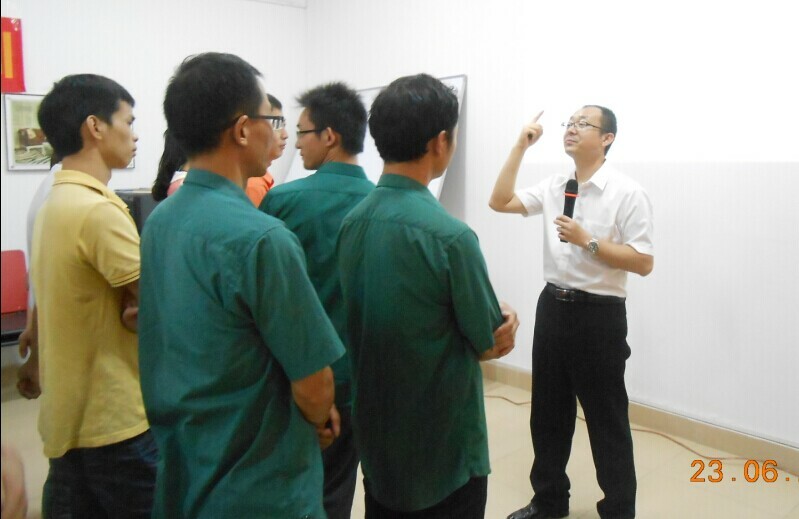 The Group management center invited National vocational core competencies trainers, Mr Feng at June 23, 2014 to diversify a lesson called “Build effective teams, win in the implementation" to our management. Mr Feng uses various approaches such as games, video and interview to show our students what means by “team” and how to build effective teams. Students actively participate in a fun atmosphere. 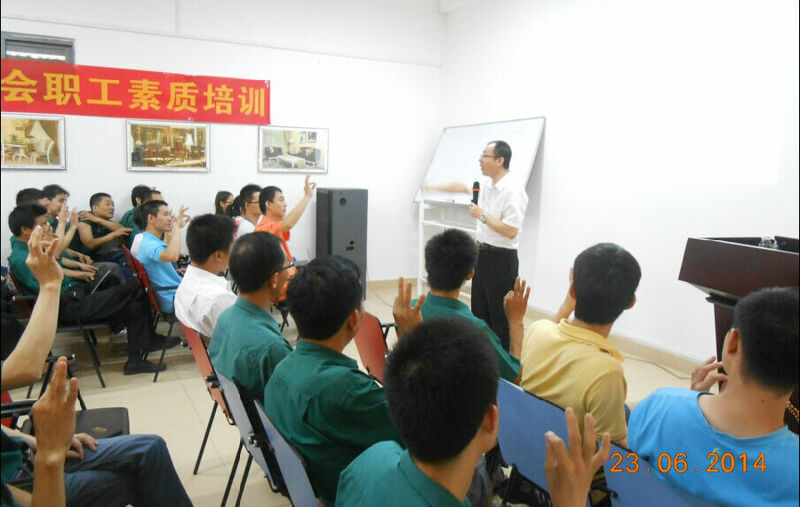 Instructor share cases with students, explained the role of the executive in the team management. After the training, participants reflected through sharing and discussion.